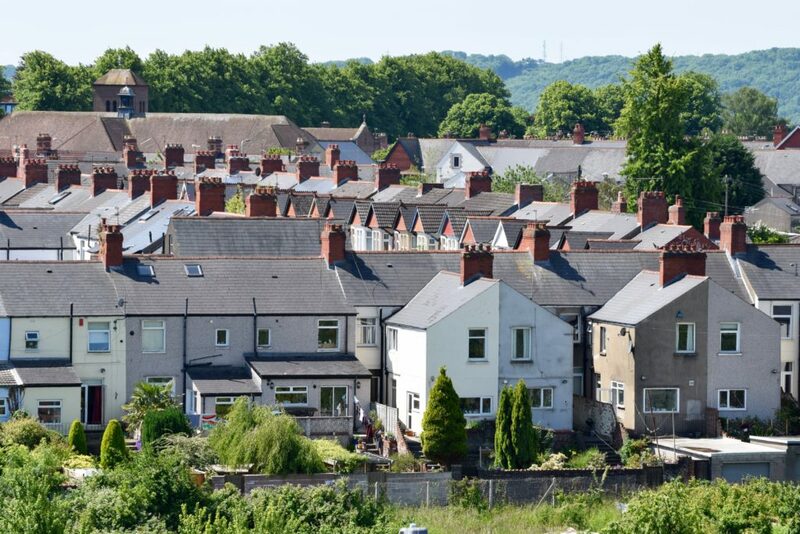 Whether you are a landlord, homeowner or tenant, it’s always important to keep an eye on the Cardiff property market, not just from your point of view, but also from every player’s point of view. Over the last 12 months, 4,560 properties have sold (and completed) in Cardiff, worth £989.4m. Interestingly the number of properties changing hands in Cardiff has also dropped when compared to a decade ago. It might surprise you that first time buyers in 2017 will benefit from a slight decline in Cardiff buy-to-let investors. Those looking to buy a home in the spring and summer of 2017 will face a far less competitive Cardiff property market than the same time of year in 2016, when the urgency to beat the buy-to-let stamp duty hike was in full swing. When looking at the figures for Cardiff itself, first time buyers have borrowed more than £219.1m in the last 12 months to buy their first home. This is a ringing endorsement of their confidence in their jobs and the local Cardiff economy. Those 20 and 30 something’s who are considering being first time buyers in 2017 will find that the number of properties on the market has never been as good as it has for quite a while, meaning you have more choice of properties and less competition from so many buy-to-let landlords than a year ago. Rightmove announced nationally that new seller enquiries are 26% up on the same time last year giving the stoutest indication that we may see a slight ease in the lack of properties on the market. When I look at the Cardiff market, at this moment in time there are an impressive 2,517 properties for sale, (so lots of choice). All this will be welcome news amongst Cardiff first-time buyers with a combination of a proportional reduction in new investors and landlords. I hope you are all tucked away from storm Doris today! On my daily browse on Zoopla this morning this lovely 2 bed maisonette in Canton attracted my attention. It looks in a great condition and could make an easy rental that is ready for tenants to move in to straight away. Located in the heart of Canton it is close to the local amenities of Cowbridge Road. The other thing I like about this property is that it has an allocaed parking space which is within the gated development. It has just come on the market with Allen and Harris for £135,000 which seems like a fair price to me! 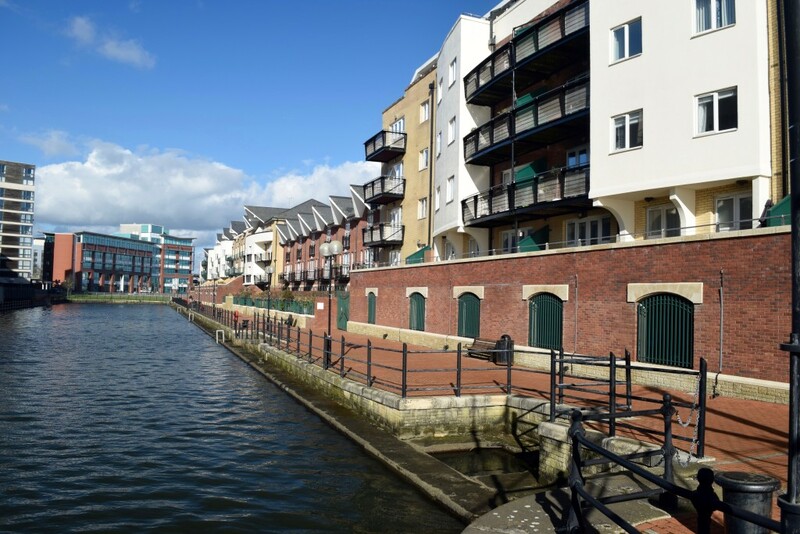 With 7,012 people in Private Rented Properties in Cardiff Bay – Should you still be investing in Cardiff Bay Buy To Let? If I were a buy to let landlord in Cardiff Bay today, I might feel a little bruised by the assault made on my wallet after being (and continuing to be) ransacked over the last 12 months by HM Treasury’s tax changes on buy to let. To add insult to injury, Brexit has caused a tempering of the Cardiff Bay property market with property prices not increasing by the levels we have seen in the last few years. I think we might even see a very slight drop in property prices this year and, if Cardiff Bay property prices do drop, the downside to that is that first time buyers could be attracted back into the Cardiff Bay property market; meaning less demand for renting (meaning rents will go down). Yet, before we all run for the hills, all these things could be serendipitous to every Cardiff Bay landlord, almost a blessing in disguise. Yields will rise if Cardiff Bay property prices fall, which will also make it easier to obtain a buy to let mortgage, as the income would cover more of the interest cost. If property values were to level off or come down that could help Cardiff Bay landlords add to their portfolio. 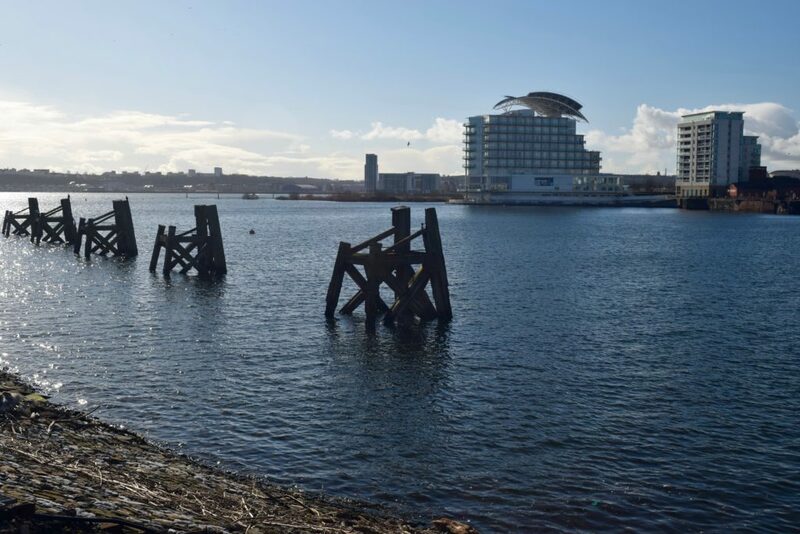 Rental demand in Cardiff Bay is expected to stay solid and may even see an improvement if uncertainty is protracted. However, there is something even more important that Cardiff Bay landlords should be aware of: the change in the anthropological nature of these 20 something potential first time buyers. I have just come back from a visit to my wife’s relations after a family get together. I got chatting with my wife’s nephew and his partner. Both are in their mid/late twenties, both have decent jobs in Cardiff Bay and they rent. Yet, here was the bombshell, they were planning to rent for the foreseeable future with no plans to even save for a deposit, let alone buy a property. I enquired why they weren’t planning to buy? The answers surprised me as a 40 something, and it will you. Firstly, they don’t want to put cash into property, they would rather spend it on living and socialising by going on nice holidays and buying the latest tech and gadgets. They want the flexibility to live where they choose and finally, they don’t like the idea of paying for repairs. All their friends feel the same. I was quite taken aback that buying a house is just not top of the list for these youngsters. So, as 52.1% of Cardiff Bay people are in rented accommodation and as that figure is set to grow over the next decade, now might just be a good time to buy property in Cardiff Bay – because what else are you going to invest in? Give your money to the stock market run by sharp suited city whizz kids – because at least with property – it’s something you can touch – there is nothing like bricks and mortar! How much is your Cardiff Property really worth? It got me thinking two things. How many of these OAP’s have always rented and how many have sold up and become a tenant? In retirement, selling up could make financial sense to the mature generation in Cardiff Bay, potentially allowing them to liquidate the equity of their main home to enhance their retirement income. I wanted to know why these older people rent and whether there was opportunity for the buy to let landlords of Cardiff Bay? Funding retirement is important as the life expectancy of someone from Cardiff Bay at age 65 (years) is 17.7 years for males and 20.9 years for females (interesting when compared to the National Average of 18.7 years for males and 21.1 years for females). The burdens of financing a long retirement are being felt by many mature people of Cardiff Bay. The state of play is not helped by rising living costs and ultra-low interest rates reducing returns for savers. So, what of Cardiff Bay? Of the 647 households in Cardiff Bay, whose head of the household is 65 or over, not surprisingly 273 of households were owned (42.19%) and 301 (46.52%) were in social housing. However, the figure that fascinated me was the 46 (7.11%) households that were in privately rented properties. Anecdotal evidence, by talking to both my team and other Cardiff Bay property professionals is that this figure is rising. More and more Cardiff Bay OAP’s are selling their large Cardiff Bay homes and renting something more manageable, allowing them to release all of their equity from their old home. This equity can be gifted to grandchildren (allowing them to get on the property ladder), invested in plans that produce a decent income and while living the life they want to live. These Cardiff Bay OAP renters know they have a fixed monthly expenditure and can budget accordingly with the peace of mind that their property maintenance and the upkeep of the buildings are included in the rent. Many landlords will also include gardening in the rent! Renting is also more adaptable to the trials of being an OAP – the capability to move at short notice can be convenient for those moving into nursing homes, and it doesn’t leave family members panicking to sell the property to fund care-home fees. Cardiff Bay landlords should seriously consider low maintenance semi-detached bungalows on decent bus routes and close to doctor’s surgeries as a potential investment strategy to broaden their portfolio. Get it right and you will have a wonderful tenant, who if the property offers everything a mature tenant wants and needs, will pay top dollar in rent! This one caught my attention this morning and might make you a lovely investment. Yes it is on the outskirts of Cardiff but is still a very popular area particularly as it is just minutes from away from the A48 and is easily accessible to both Newport and Cardiff. It has just come on the market with Allen and Harris for £145,000, now this does seem a little high for 2 beds in the area but the property looks in good condition and has a large rear garden and driveway parking. It’s all about location,location, location with this property! Located in the heart of the city centre I think this will make a great investment as it is very popular with prospective tenants. The added bonus with this block is that it evens come with an allocated parking space! There are two decent sized bedrooms and an ensuite so would appeal to sharers as well as a couple. It has just come on the market at a very fair price of £180,000 with Peter Alan and so I think you need to act quickly if you want a chance of snapping this up. Good barometers of the housing market are the share prices of the big UK builders. Much was made of Barratt’s share price dropping by 42.5% in the two weeks after Brexit, along with Taylor Wimpey’s equally eye watering drop in the same two weeks by 37.9%. Looking at the most recent set of data from the Land Registry, property values in Cardiff are 0.89% down month on month (and the month before that, they weren’t a great deal better with a decrease of 0.17%) – so is this the time to panic and run for the hills? Well, as I have spoken about many times in my blog, it is dangerous to look at short term. I have mentioned in several recent articles, the heady days of the Cardiff property prices rising quicker than a thermometer in the desert sun between the years 2011 and late 2016 are long gone – and good riddance. Yet it might surprise you during those impressive years of house price growth, the growth wasn’t smooth and all upward. Cardiff property values dropped by an eye watering 1.78% in April 2012 and 0.52% in February 2015 – and no one batted an eyelid then. You see, property values in Cardiff are still 4.27% higher than a year ago, meaning the average value of a Cardiff property today is £230,300. Even the shares of those new home builders Barratt have increased by 43.3% since early July and Taylor Wimpey’s have increased by 37.3%. The Office for Budget Responsibility, the Government Spending Watchdog, recently revised down its forecast for house-price growth in the coming years – but only slightly. The Cardiff housing market has been steadfast partly because, so far at least, the wider economy has performed better than expected since Brexit. There is a robust link between the unemployment rate and property prices, and a flimsier one with wage growth. Unemployment in the City of Cardiff Council area stands at 11,000 people (6%), which is considerably better than a few years ago in 2013 when there were 17,500 people unemployed (9.8%) in the same council area. Forget Brexit and yes inflation will be a thorn in the side – but the greatest risk to the Cardiff (and British) property market is that there are simply not enough properties being built thus keeping house prices artificially high. Good news for those on the property ladder, but not for those first-time buyers that aren’t! This fascinating question was posed by the 14-year-old son of one of my Cardiff landlords when they both popped into my offices before the Christmas break (doesn’t that seem an age away now!). I thought to myself, that over the Christmas break, I would sit down and calculate what the total value of all the properties in Cardiff are worth … and just for fun, work out how much they have gone up in value since his son was born back in the autumn of 2002. In the last 14 years, since the autumn of 2002, the total value of Cardiff property has increased by 73% or £12.26 billion to a total of £29.05 billion. Interesting, when you consider the FTSE100 has only risen by 68.9% and inflation (i.e. the UK Retail Price Index) rose by 38.7% during the same 14 years. When I delved deeper into the numbers, the average price currently being paid by Cardiff households stands at £215,021.… but you know me, I wasn’t going to stop there, so I split the property market down into individual property types in Cardiff; the average numbers come out like this ..
… yet it got even more fascinating when I multiplied the total number of each type of property by the average value. Even though detached houses are so expensive, when you compare them with the much cheaper terraced/town houses and semi-detached houses, you can quite clearly see detached properties are no match in terms to total pound note value of the terraced/town houses and semis. So, what does this all mean for Cardiff? Well as we enter the unchartered waters of 2017 and beyond, even though property values are already declining in certain parts of the previously over cooked Central London property market, the outlook in Cardiff remains relatively good as over the last five years, the local property market was a lot more sensible than central London’s. Cardiff house values will remain resilient for several reasons. Firstly, demand for rental property remains strong with continued immigration and population growth. Secondly, with 0.25 per cent interest rates, borrowing has never been so cheap and finally the simple lack of new house building in Cardiff not keeping up with current demand, let alone eating into years and years of under investment – means only one thing – yes it might be a bumpy ride over the next 12 to 24 months but, in the medium term, property ownership and property investment in Cardiff has always, and will always, ride out the storm. But on the back of TV programmes like Homes Under the Hammer, these same baby boomers started to jump on the band wagon of Cardiff Bay buy to let properties as an investment. Cardiff Bay first time buyers were in competition with Cardiff Bay landlords to buy these smaller starter homes … pushing house prices up in the 2000’s (as mentioned in Part One) beyond the reach of first time buyers. Alas, it is not as simple as that. Many factors come into play, such as economics, the banks and government policy. But are Cardiff Bay landlords fanning the flames of the Cardiff Bay housing crisis bonfire? I believe that the landlords of the 3,741 Cardiff Bay rental properties are not exploitive and are in fact, making many positive contributions to Cardiff Bay and the people of Cardiff Bay. Like I have said before, Cardiff Bay (and the rest of the UK) isn’t building enough properties to keep up the demand; with high birth rate, job mobility, growing population and longer life expectancy. For Cardiff Bay to meet its obligation on the building of new homes, Cardiff Bay would need to build 63 households each year. Yet, we are missing that figure by around 26 households a year. For the Government to buy the land and build those additional 26 households, it would need to spend £5,118,929 a year in Cardiff Bay alone. Add up all the additional households required over the whole of the UK and the Government would need to spend £23.31bn each year … the Country hasn’t got that sort of money! With these problems, it is the property developers who are buying the old run-down houses and office blocks which are deemed uninhabitable by the local authority, and turning them into new attractive homes to either be rented privately to Cardiff Bay families or Cardiff Bay people who need council housing because the local authority hasn’t got enough properties to go around.